Garage: "Attached, Opener, Oversized, Side"
Lot Size: n/a "Interior Lot, Landscaped, Lrg. Backyard Grass, Subdivision. Size: Less Than .5 Acre (not Zero)." Great location-close to town yet peaceful country feel. Nice flowing floor plan, chefs kitchen, cov patio with fireplace, gorgeous hand scraped wood floors & balcony off upstairs gameroom & secondary bedroom. Study_library has custom built ins & media room located upstairs off the gameroom. 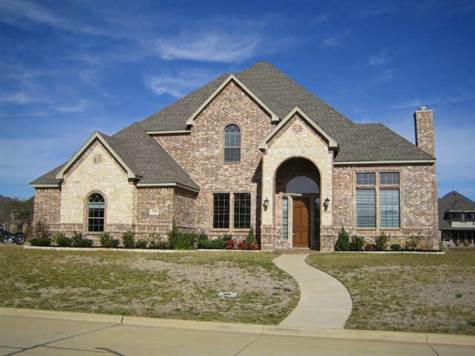 2 staircases, fireplaces in formal living & family room & you will love the master bath! Exquisite finish out & ceiling treatments thru out home.